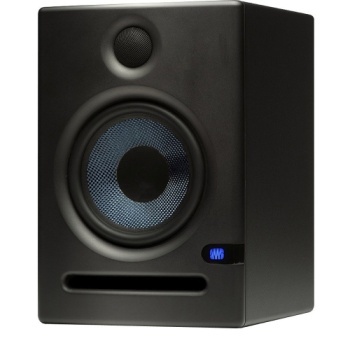 Musician's Workshop - PreSonus Erise Studio Mon 2x 8.0""
PreSonus Erise Studio Mon 2x 8.0""
For an extended low-frequency response and a bit more muscle, step up to the Eris E8. With its 8-inch, Kevlar low-frequency transducer, driven by a 75 watt, Class AB power amplifier, it can range down to 35 Hz. Like the E5, the E8 can reach all the way to 22 kHz, thanks to a 1.25-inch (32 mm), silk-dome, high-frequency tweeter. However, the E8’s tweeter is driven by a heftier 65W, Class AB amplifier. With its extra juice, the E8 can deliver up to 105 dB SPL, peak.